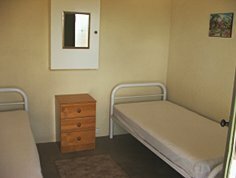 Alpana has two excellent accommodation options. Your booking secures exclusive use of the whole building. For group bookings of Quarters and Ensuite powered sites, price on application. 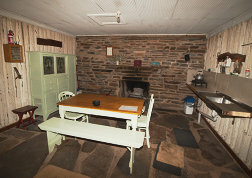 The shearers' quarters were a real “home away from home” and we were most comfortable. Great place to stay and experience the wonderful scenery, serenity and sunsets. 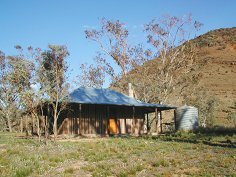 Nungawurtina Hut is a pine and pug hut built in 2002 in the traditional style as of the 1880s from native pine and local stone. 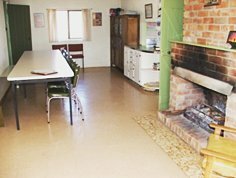 Nestled in a valley 7kms from Alpana homestead, this is a true Flinders retreat for those people who need to get a little closer to nature and would like the comfort of a warm, dry, cosy hut. 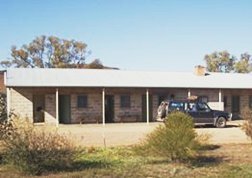 It sleeps 6 on three bunk beds and has an open fire, table, chairs, crockery and cutlery for six, 2 ring gas stove, kitchen sink, 12 volt solar powered lights, outdoor fireplace and pit toilet. 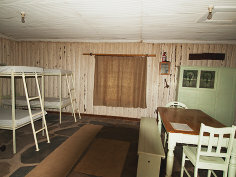 The hut is perfect for bushwalking, nature watching, relaxing and getting away from it all. Nungawurtina Hut can only be accessed by high clearance 4WD or All WD vehicles. Short walks and 360 degree views can be experienced, with a 4 hour return walk to Blinman Pools for the fit. 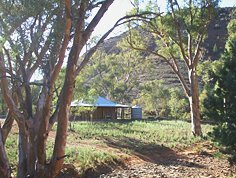 The walking trail that complements Nungawurtina Hut is pegged and easy to follow from Alpana homestead via the Nungawurtina Hut and onto the Blinman Pools and Angorichina Village. Pick up can be arranged with David or Sally. 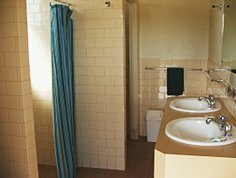 Please note there is no shower, refrigerator, or power. Pets allowed. Nungawurtina Hut was magic; it was just what we needed. I have been coming to the Flinders for 20 years and camped everywhere. I have stayed at Nungawurtina Hut a few times now and I'd have to say it is my very favourite place in the Flinders.